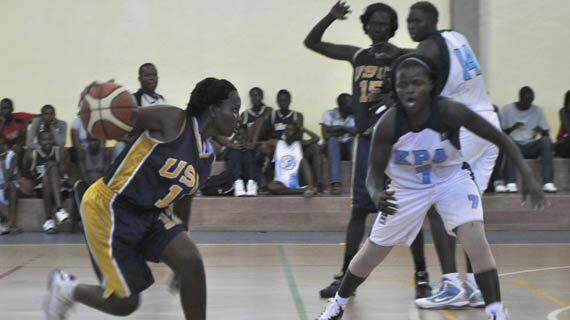 United States International University (USIU) last weekend lifted the Zone 5 Basketball title in the all Kenyan women finals played at the Makande Hall in Mombasa defeating hosts KPA 28-63. The two teams have booked a ticket to represent the region in this year’s Africa Club Championships that will be held in Tunisia later in November. The defending league champions who were playing at home were no match for the blazing USIU who were thirsty for revenge having narrowly lost to the same side in the playoffs last season. The first quarter was evenly contested ending 12-13 in favor of USIU.The students then pulled away in the second quarter stretching the host with a 07-14 lead to take a 27-19 halftime lead. KPA were reduced to mere spectators in the third quarter as USIU overpowered them in all departments including an unbreakable defense line embarrassing the hosts with a 0-18 third quarter score line that more or less won the day for them. It was too late for the former champions to regain their footing in the final quarter as USIU started early celebrations while also sending a clear signal that they are the team to beat for this year’s league title.The third quarter ended 9-18 in favor of USIU. Liol Chan was in blistering form for the new regional champions taking home 19 points for the champions while Angela Okoth contributed 11 points. With 8 points, Yvone Akinyi was the best scorer for KPA. On their way to the finals, USIU who had a fine run throughout the tournament defeated Uganda’s KCCA 74-48 while KPA beat Berco from Burundi 61-48.